One of the best things about being a blogger is to receive all the new exciting products. 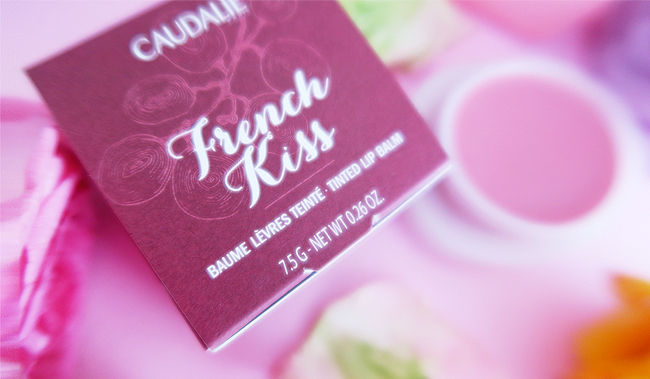 Recently I found these lip balms from Caudalie in my mail, and since I like them a lot, I have to tell you about them. I mostly wear bright lipsticks on my pictures, you might not think that I am a lip balm type, but on weekends and in the eve I can't get enough of this stuff. 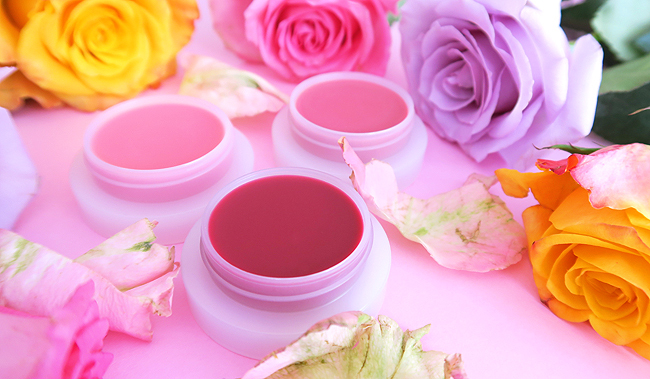 It's the secret behind my bright lips: The only way to pull off strong colours is when your lips are well moisturized and hydrated. Those three darlings brought an extra hydra boost into my life. 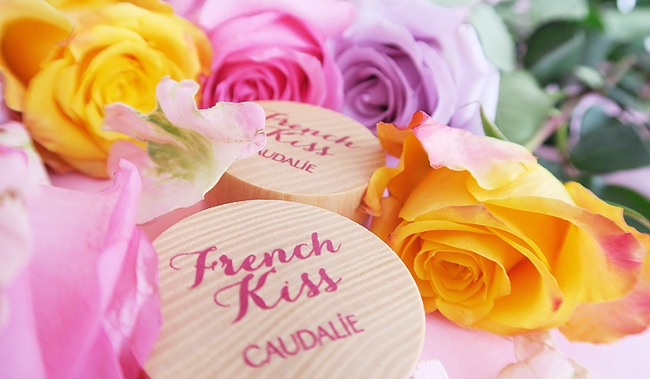 All products from French label Caudalie have something in common with wine, and those lip balms are no exception: They are rich in anti-oxidant grape polyphenols. 98% of their ingredients are natural, such as aloe vera, beeswax, castor and sunflower oil. C'est magnifique! So let's have a closer look at each of them! This one is the lightest tint. 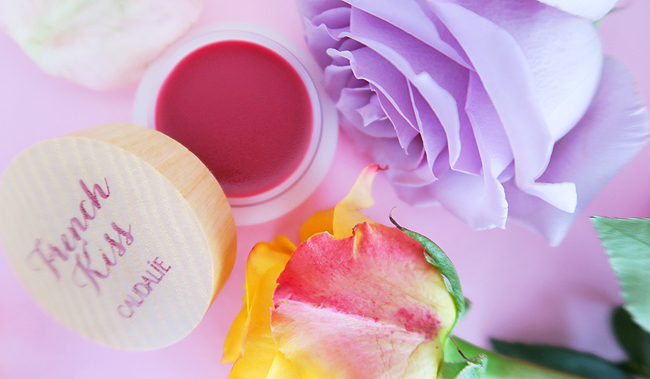 It comes in a very natural pink, meant to enhance your natural lip colour. Its smell is a very subtle hint of vanilla and orange peel. Subtle, just like a translucent wine. 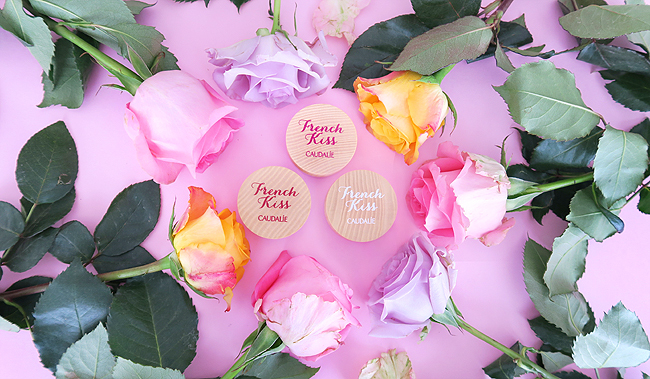 A beautiful slightly shimmering soft pink tint with a delicious smell of vanilla. This one is so yummy I have to resist not to eat it. My favourite from the three of them. If it would be a wine, I'd order another glass right away! It's raspberry red, and it smells like a whole garden of delicious berries! Probably the most indulgent and intense of the three of them. I instantly have to think of a berry merlot. Which one do you think might be your favourite, can you decide? If yes get it, apply it, and then there is just one thing ahead: Kiss! Just like a Parisian girl, ohlala!